Accidents that cause a death can happen anywhere, but a lot of them happen on the nation’s highways. The National Highway Traffic Safety Administration (NHTSA) reports a slight reduction in fatalities on the road in 2010 as compared to those in 2009, and the statistics for the most recent years are no better. If you experienced a death in your family that you think was wrong and unfair, the attorneys at the Law Offices of David Kohm can help you get a personal injury settlement. If one of your loved ones lost a life due to the negligence of someone else, it probably does not matter to you that highway statistics are improving. The wrongful death of a loved one deserves justice, and you are right to seek compensation for your loss. The attorneys at the Law Offices of David Kohm are authorities on personal injury, the area of the law that handles wrongful death accidents. When you meet with an injury attorney, you can learn about the options that are open to you for a personal injury settlement. Some accidents happen when a person who is supposed to have responsibility for the safety of someone else fails to do so. If that is what happened in your case, you need legal representation. The law is complicated and hard to understand, but a skilled lawyer can lead you through the process. Establishing that someone else is to blame for the death of your friend or family member is not an easy matter. You can understand that no one wants to step forward and take responsibility, even if it’s the right thing to do. 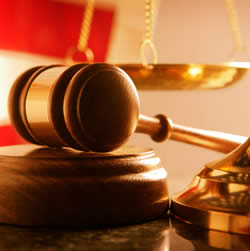 An experienced Arlington injury attorney can make the difference in the compensation settlement that you receive. Get the compensation your family deserves by calling the Law Offices of David Kohm at 817-204-0900 today.